This chair is simple design but artsy. Constructed with spindle technique, following a concept of Danish Scandinavian style makes this chair is suitable as a side chair, dining chair or as a feature piece in your home. 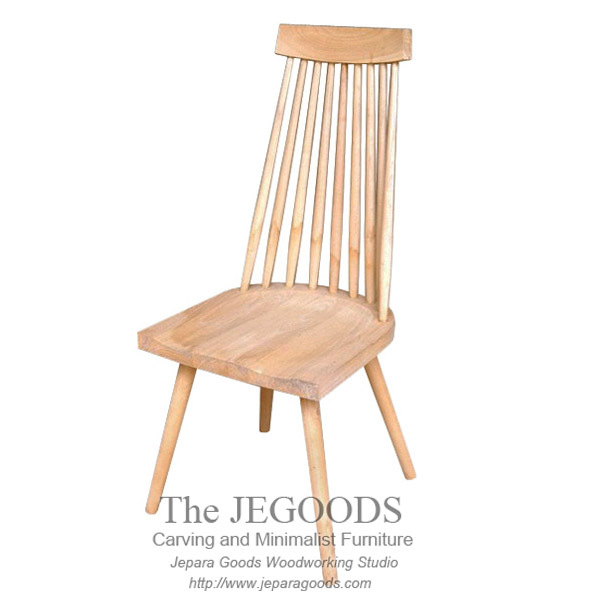 Skandinavian High Spindle Chair is made of solid teak wood that is carefully hand crafted by our wood craftsmen in Jepara – central Java, Indonesia. This chair is also suitable for commercial application such as; cafe, restaurant, co-working space, etc.